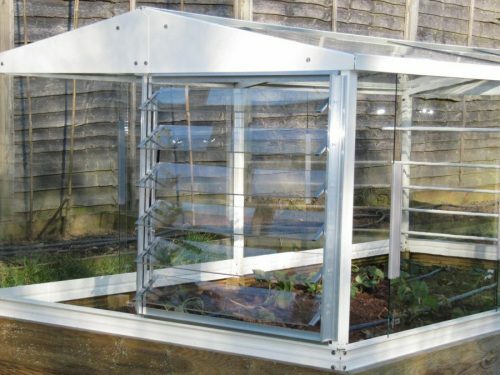 This vent replaces an entire 2′ x 2′ (610mm x 610mm) end sheet of glass, giving a very large ventilating area. The automatic unit opens and closes automatically as the temperature rises and falls. Up to two units can be fitted per cold frame. Works well – fantastic in this hot weather. Has really given a new lease of life to my approx. 25 year old cold frame. However, they come flat packed & my husband felt that assembly could have been easier.